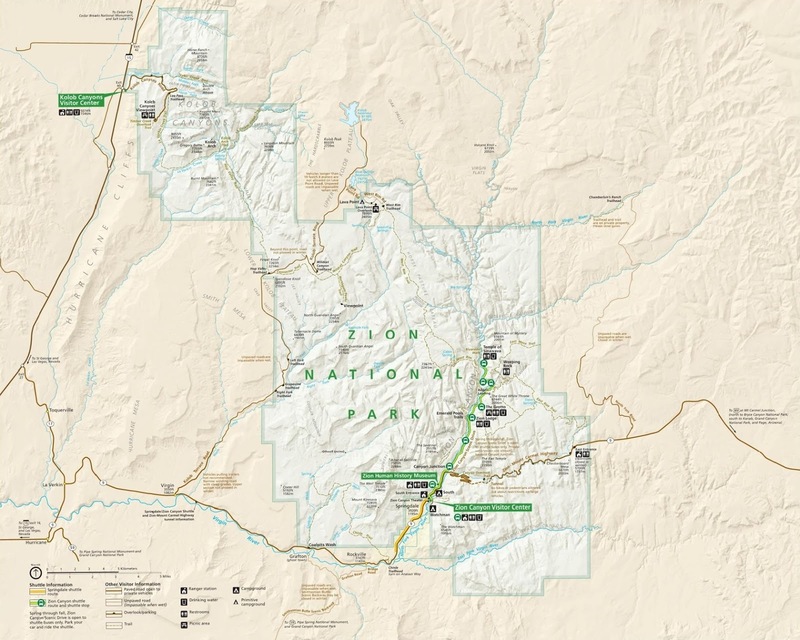 The Pa'Rus trail is located in Zion National Park. 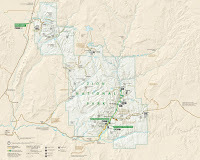 The trail follows the Virgin River upstream from the Zion Canyon Visitor Center for 1.8 miles to Canyon Junction passing the Zion Human History Museum in route. The Pa'Rus trail is wheelchair accessible and it is the only trail that allows pets on a leash and bicycles. The first thing you probably want to know is what does Pa'Rus mean. It is a Paiute word meaning 'bubbling, tumbling water'. Beginning at the Visitor Center you will need to cross the bridge over the Virgin River where there is a crosswalk that leads to the trail. The trail passes between the campground and the Virgin River as it starts out. There are several places through this area that provide beach access. It's common to see people sitting in the sand along the river and cooling off in the water. After passing through the campground the trail continues over the valley floor heading up Zion Canyon. The trail crosses back and forth over the river making use of 6 different bridges as it goes. Sunset is a popular time to hike the trail. The sun setting on the Watchman will keep you looking back. At Canyon Junction the trail passes under the highway bridge which may be lined with photographers taking pictures of the sunset or sunrise on the cliffs of Zion. At Canyon Junction you can turn around and hike back the way you came or get on the free shuttle bus and ride back to the Visitor Center. If you brought a pet you will have to walk. Pets aren't allowed on the buses. The buses are able to accommodate 1 or 2 bicycles on their front rack though. If you would like to see the Pa'Rus trail for yourself then all you have to do is 'Take a hike'.